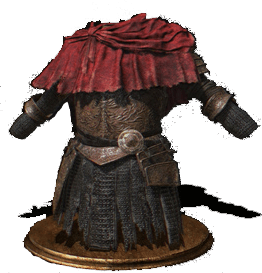 Slave Set is an Armor in Dark Souls 3. It is part of the Ashes of Ariandel DLC. From the Corvian Settlement Bonfire, run out the house, cross the bridge and go up the hill past the Corvian Knight. Where the knight entered go there and follow that ridge path all the way until you see a ladder which you will take. Continue running and enter the doorway in the center. Fall down onto the armor set, be wary of enemies in that room. 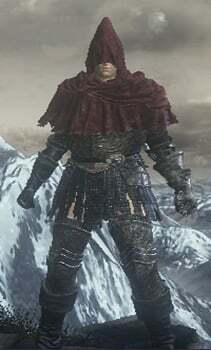 The armor set of the NPC Slave Knight Gael. and is therefore great for builds with low to medium vitality. Desert Pyromancer Garb + Slave knight leggings = ??? = Profit? Dude beat me wearing diapers? Is it just me, or does the hood go with anything? I think there were three slave knights in the painted world. One was Gael, the other one was the corpse that held the armor set, the last one held the way of white corona. Well it seems only Gael survived though. Does Gael ever get cold wearing those leggings? Even after a million years and Gael still hasn&apos;t fit in pants in those leggings and underwear. "They grew decrepit, their skin charred black and their bones twisted." This description doesn&apos;t match Gael, but it does describe the phalanx in the Painted World of Ariamis. 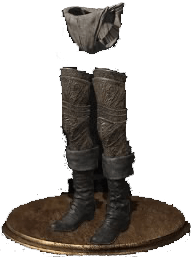 In my headcannon, Gael served in served in that phalanx but somehow he alone escaped deformity and madness. Maybe he&apos;s the one that occasionally glitches through the floor, restored to humanoid form by some unknown power. Apparently the set comes with underwear too? This set&apos;s description makes no sense. If the fine craftsmanship was symbol of honour, why were the slave knights used as fodder? Vaati pls explain the lore. Can someone please give me the leggings of this set? Grave warden&apos;s robe + Cornyx&apos;s wrap + Slaver Knight Leggings. 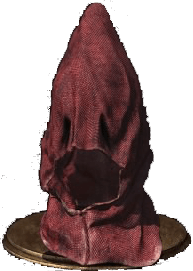 Is there a farron-like helm beneath that hood? 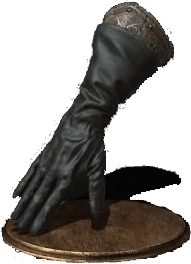 Do you know what weapon would go nice with the slave armour?